Announcing the first “IPD Best Political Graphics Awards”. This award entails none of the usual rules. In fact, there are no rules. 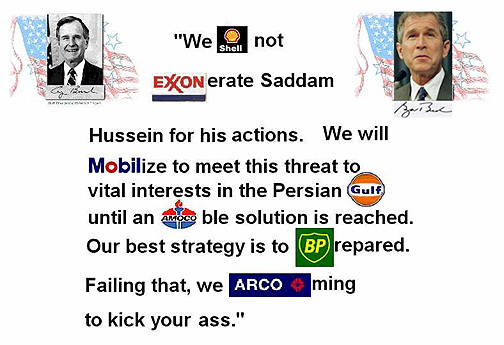 It isn't about linking, it's only about graphics, and the graphics that we like the best in the political arena. So, without further ado, the first award goes to the master of snark, Relevant Rhino. Not only do I love Rhino's writing, now I love his graphics too. 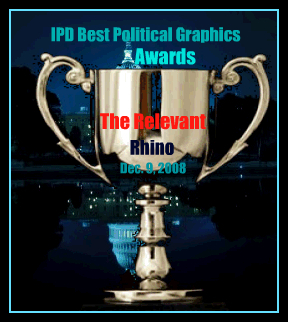 The winning graphic, as seen below, appeared in a post on The Relevant Rhino on Dec.7, and was just so very cleverly done, that I felt compelled to create an award to honor it. So, congrats, Rhino, and thanks for always bringing your entertaining, and informed brand of snark to your readers!